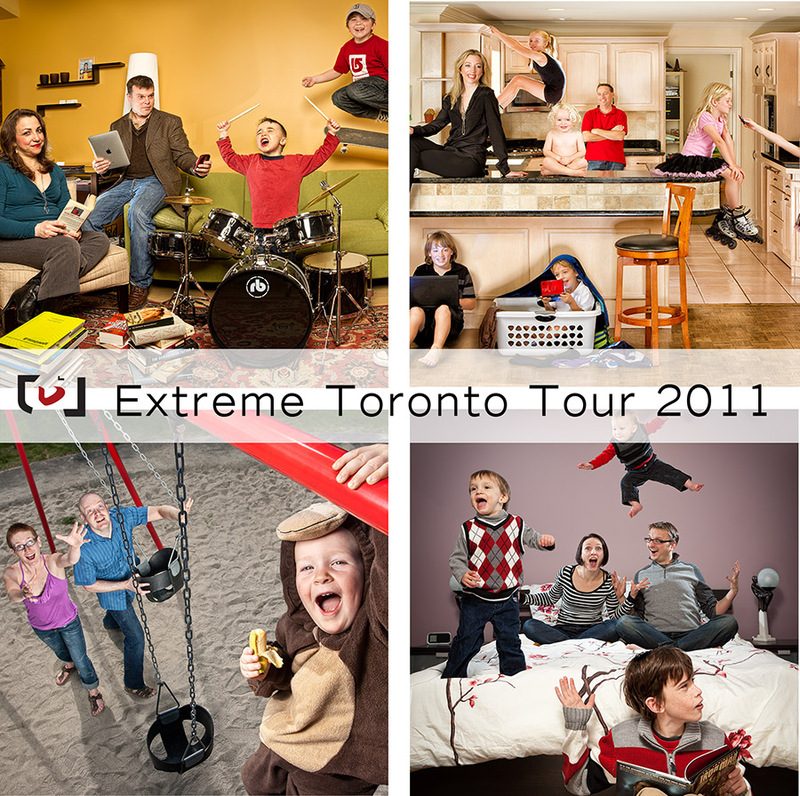 I mentioned it last week when I showed off Julie’s extreme family portrait session: I am now offering a limited number of portrait sessions in the Toronto area. Timing is tight, I understand that a lot of you will want images in time for the Holidays (yes, despite best efforts they have, again, come our way). 5 3 sessions, about 4 hours each (1 hour for setup). I bring a ridiculous amount of lighting and we take our time to get everything right. Me, my guy Lee, your family looking how they’re meant to look: like themselves. I’m going to ask my clients to leave comments on this post to fill in what you don’t see, behind the scenes of an extreme portrait shoot to give you an idea of what *you* will see, and how they feel about the finished product. If you’re interested in one of my sessions in Toronto and the surrounds (Burlington, Richmond Hill, Markham etc. ), please E-mail me at justin.vanleeuwen AT gmail.com, or give me a call at 613-558-7585. This will be your last chance in 2011! Posted on Tuesday, October 25th, 2011 at 3:00 am. Filed under: Uncategorized	RSS 2.0 feed. The experience of getting our portrait done was a blast – the kids loved Justin (though they now think it's acceptable to skateboard on the couch). And we love the final product – it's a great conversation piece as well as a great portrait. If you're considering getting one done, do it. You won't regret it.